Relocating from one place to another is never easy, but it’s usually the start of a new, exciting chapter. Most people move when they have a job opportunity or a loved one waiting for them, or simply to follow their heart. At some point, though, the need to move becomes a little more serious. If it’s time to move one of your parents into a senior care community, make sure you’re doing everything you can to help the transition. It’s hard for them to give up their independence and say goodbye to the home they love so much. But, you have to remind them about all the joy they’ll experience once this transition is complete! Here are 7 tips to use when you help with moving your parents to their next home. Maybe your mom or dad is just considering the move right now. Maybe it was their idea or maybe it’s something you’ve had to bring up to them multiple times before they finally started thinking seriously about it. However the move has come about, there are still many things to talk about. This is an emotional time for your parents. You have to be able to put your feelings aside and listen to all their concerns. This isn’t to say you shouldn’t share your emotions at all, but you do have to be willing to find a healthy middle ground. The best way to do that is with clear, honest communication and by maintaining a high level of respect for one another. Sometimes, it’s not the thought of moving that causes an emotional reaction but the idea of moving into one new home versus another. Your parents deserve to enjoy the best quality of life they possibly can. This means you have to work together to find the best senior living accommodations for them. Some people may like the thought of living in a private room within a big senior home. But, others may want something that feels a little more like their own home. They may want to bring their own possessions to this new place and have more private space than just one room. Keep this in mind as you compare all the options available in your area – and don’t overlook the option of relocating to a different town altogether. It’s a bigger move to take on, but it might be just what your mom or dad needs. Chances are, you’re not the only relative your mother and father have. Take it upon yourself to call your siblings, cousins, or nieces and nephews. Ask them if they’d be willing to help pack up your parents’ belongings and transport some items to their new home. This is a great opportunity to get everyone together in grandma and grandpa’s house one last time before the move. It’s also a chance to discuss who is going to get what from the family home since your parents will likely be downsizing quite a bit. Before you can get into the specifics of what each family member will get, you have to figure out what your parents are going to take with them. Go through each room in the house and sort everything based on items your parent is taking with them, items to distribute among family members, and items to get rid of. This will make the actual packing process much easier. Once you’ve gotten through all the decision making, you won’t have to stop and think about what you’re packing. All the time you save packing can be used to clean the house. This ensures it’s ready for the next resident/owner. Whether the house is staying in the family or being put on the market, it needs to be presented in the best possible manner. Plus, cleaning each room gives you another chance to do a final look over and make sure you’ve got everything. It’s also a great time for your mom/dad to have a bit of privacy to say goodbye to the home they love. The next step in the moving process is to figure out the logistics for the big day. You shouldn’t be trying to take on all the steps mentioned above in one day. It’s better to ease into the process and give everyone in the family a bit of time to adjust to this change. Not to mention, you need to make sure you have a moving truck and team ready to go if you’re emptying the house. It’s one thing to pack up a car and move your mom/dad into their new space, but it takes a lot more work to get everything they own out of their house. You can hire professionals such as Gentle Transitions or ask for help from family. But, don’t wing it. During each part of the moving process, remember how beneficial this change will be for your whole family. It’s going to be emotional for your parents and siblings. You’ll have to be there for them and figure out how to best take care of yourself, too. It will all be worth it, though! Remember, this change is for the best. You know it, your parents know it, and your whole family knows it. The transition itself is tough, but soon enough, your mom/dad will be settled into their new place and everyone will be happy. Focus on that when things get rough. It’d be a shame to put so much time in to help with moving your parents only to realize their new home has everything they need! Many senior homes are more accommodating than you may assume. They’re comfortable, welcoming, and ready to provide your parents with all the care and entertainment they need to enjoy a high quality of life. All they need is to just get there! 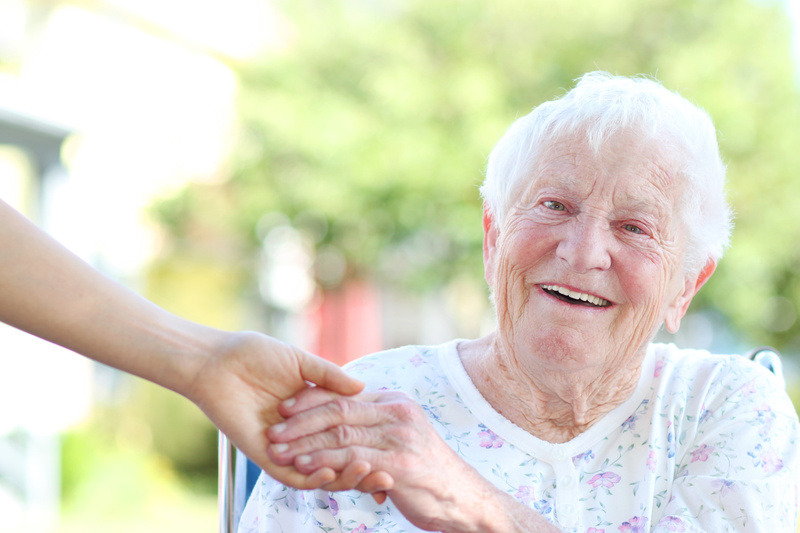 Interested to see whether Arthur’s Senior Care is right for your loved one? Click here to learn more about who we are and what our special space has to offer.